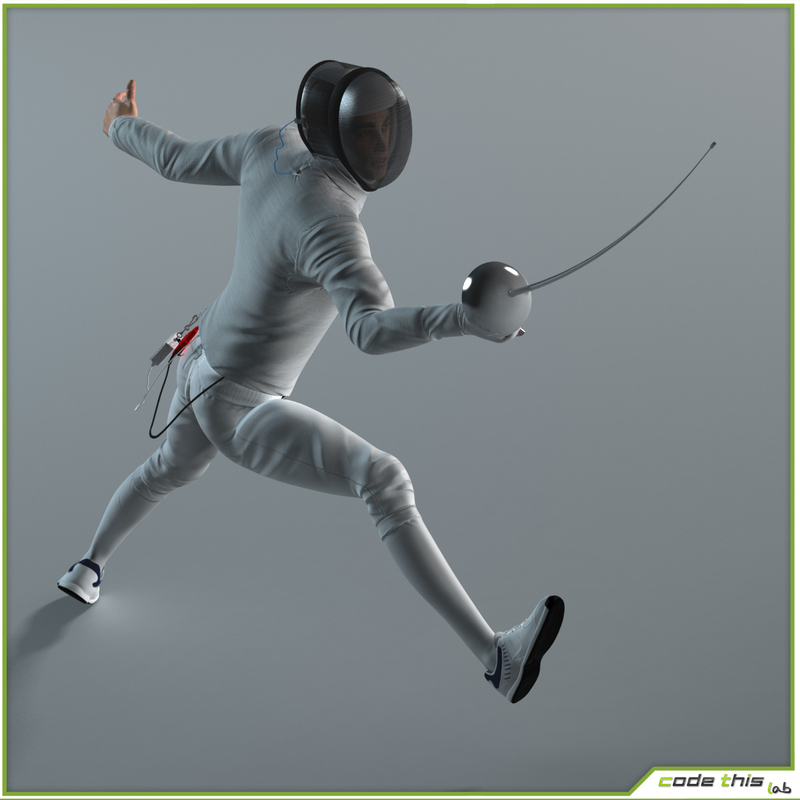 This model was realized using 3D Studio Max (version 2014) and Vray rendering engine (version 3.0), so it is optimized for working in this environment. 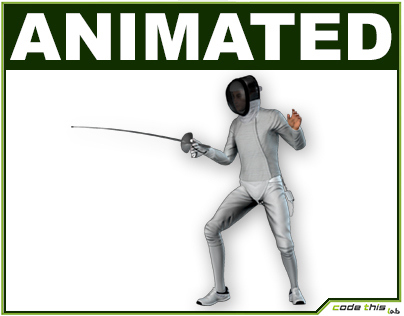 The renderer visible in the scene can be obtained just using the native file. 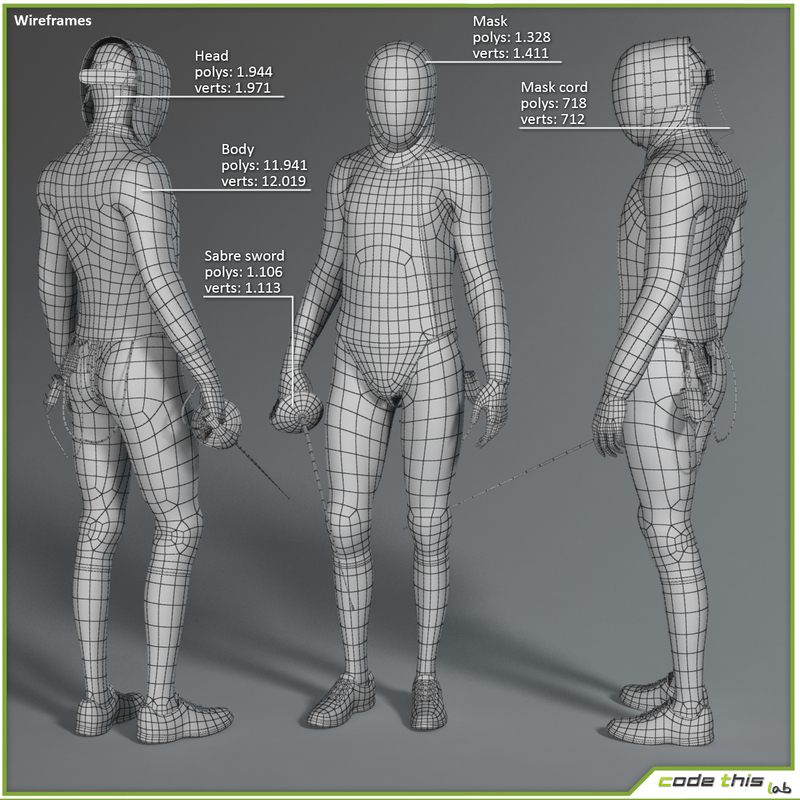 Textures are from 1024×1024 to 8192×8192. 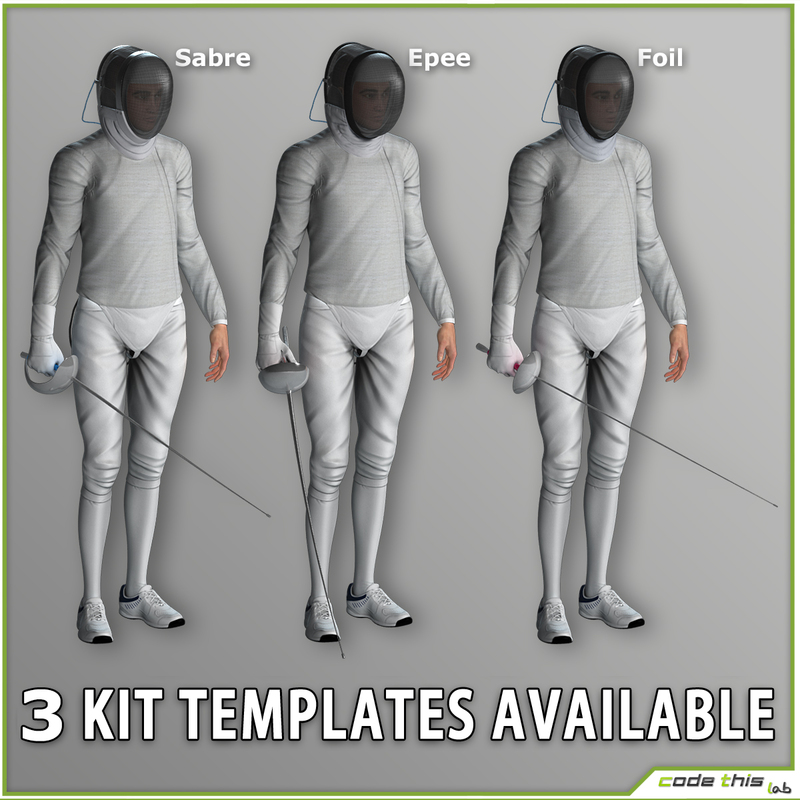 Rextures are in TGA and PNG format. 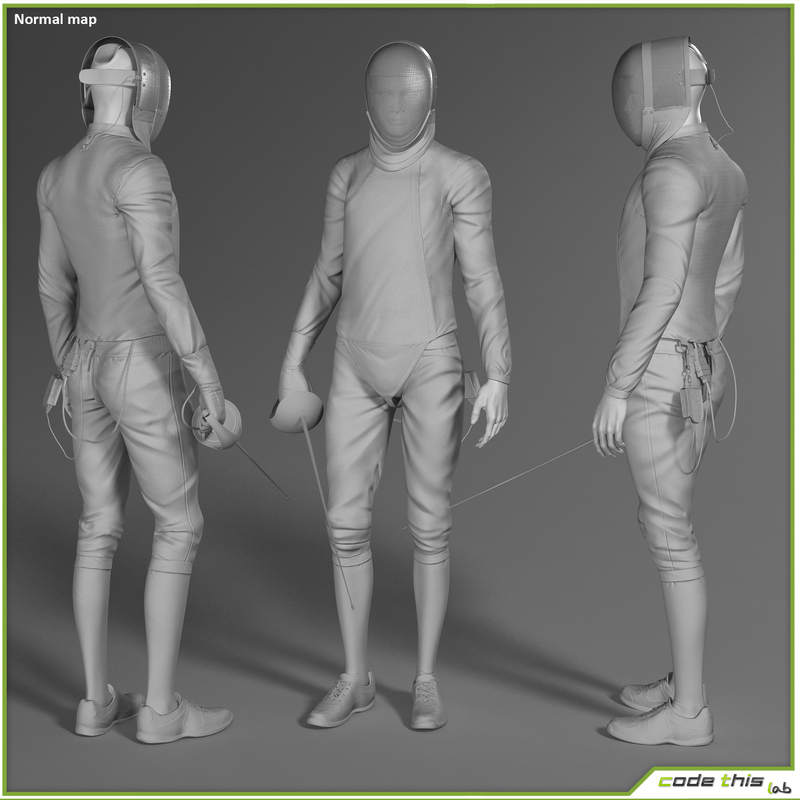 The package includes diffuse, normal and specular. 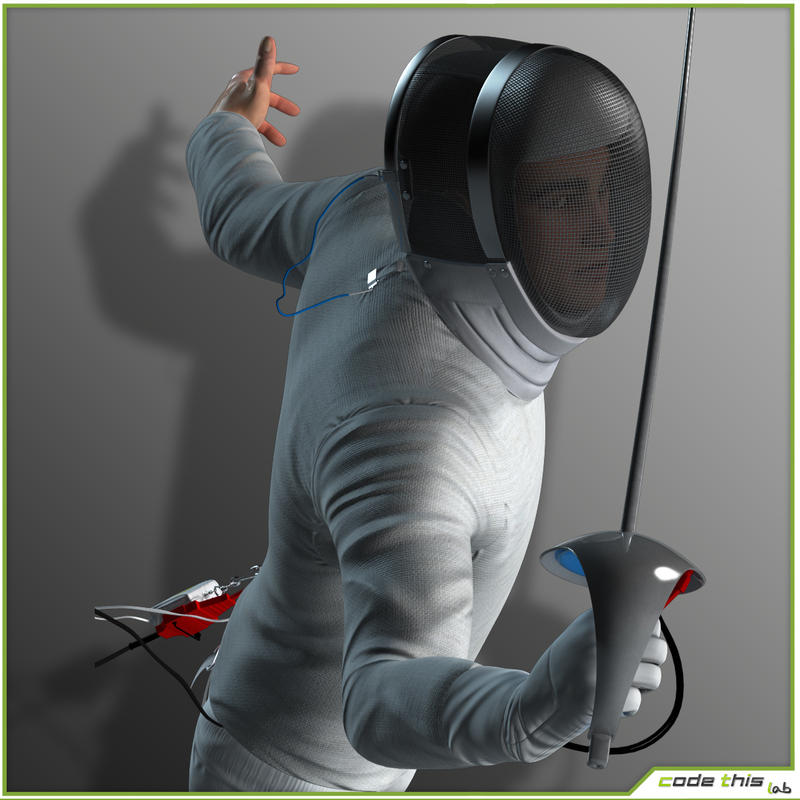 The model is rigged using the standard 3dsmax biped, with the addition of bones. 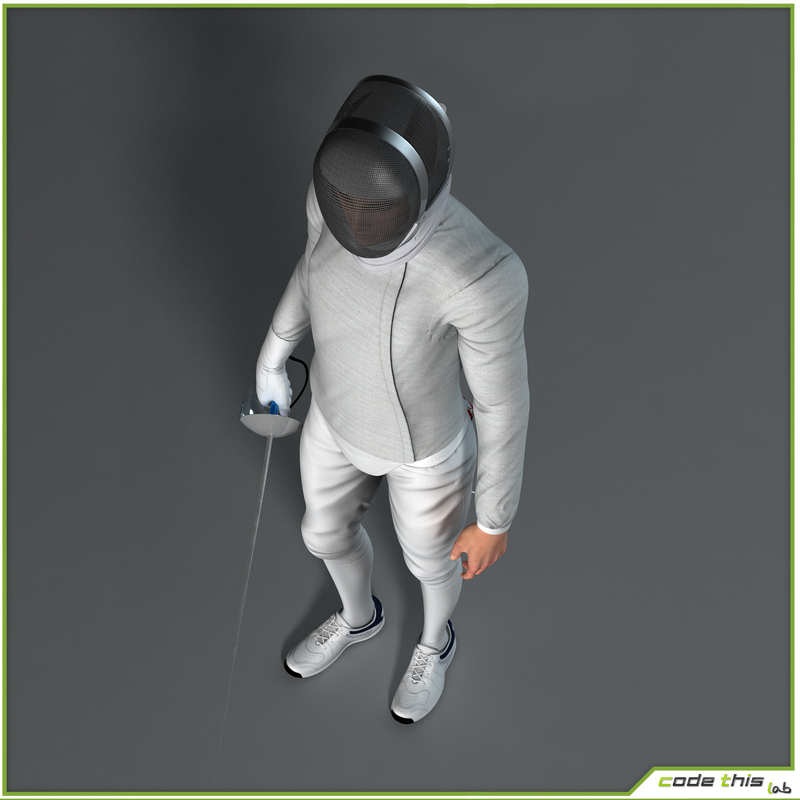 The FBX format included in the package can be used as it is provided, and is not editable. 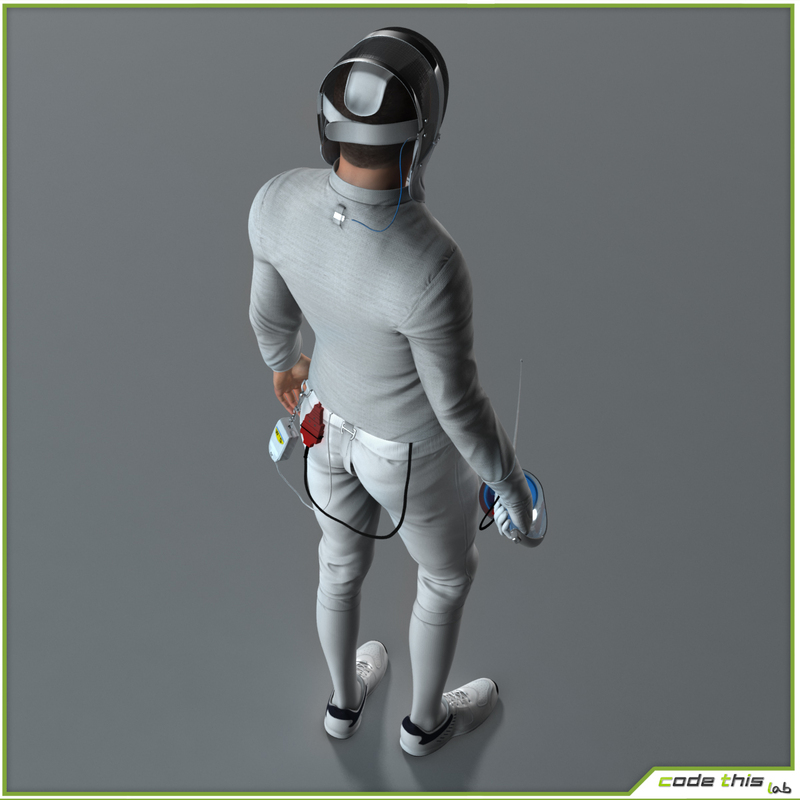 To get a similar quality of rendering images of the gallery, you must set the materials, lights and photo set independently. 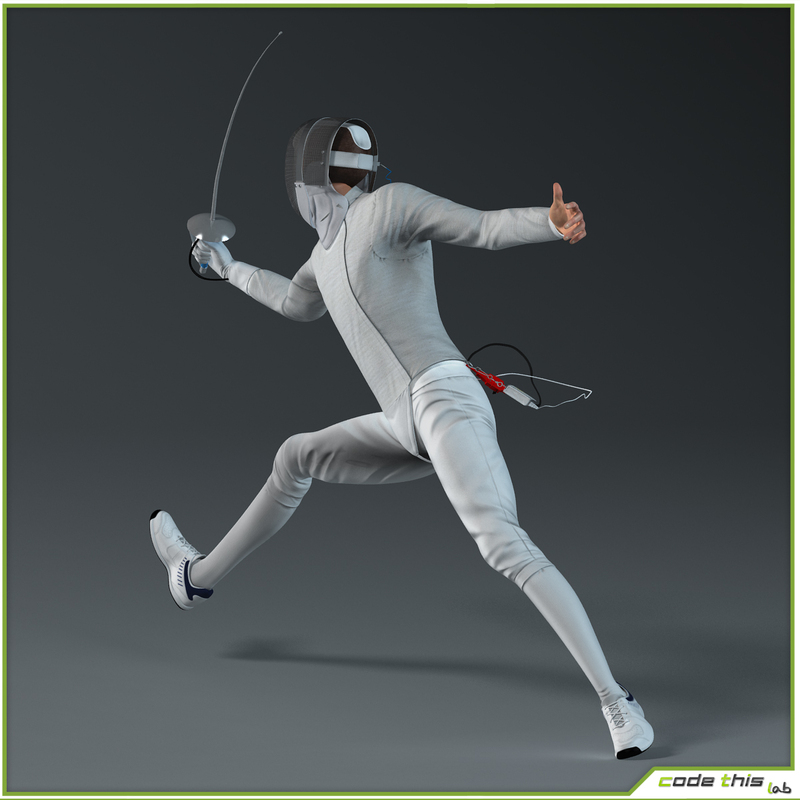 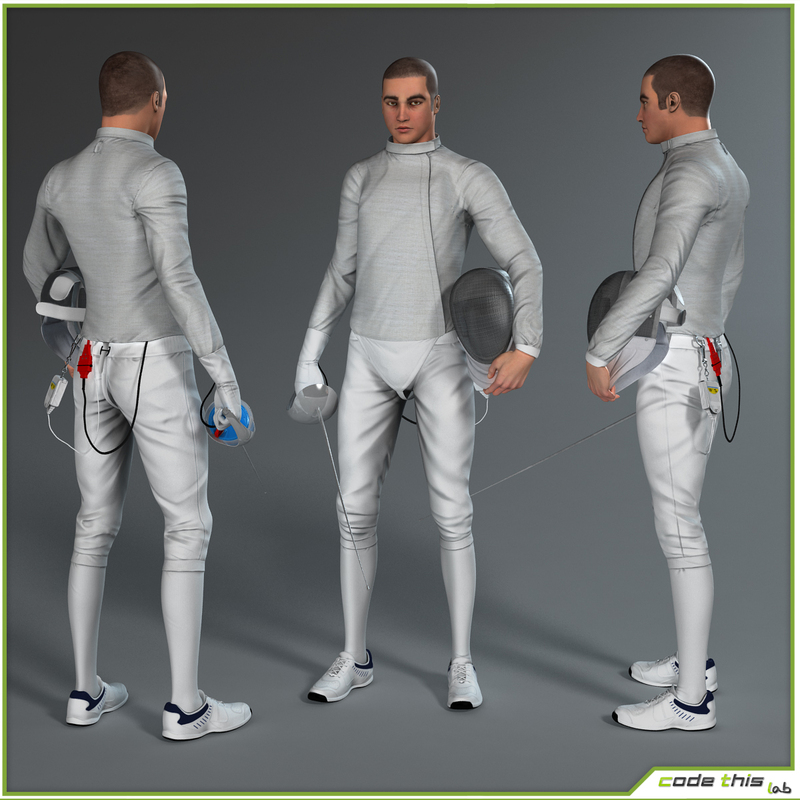 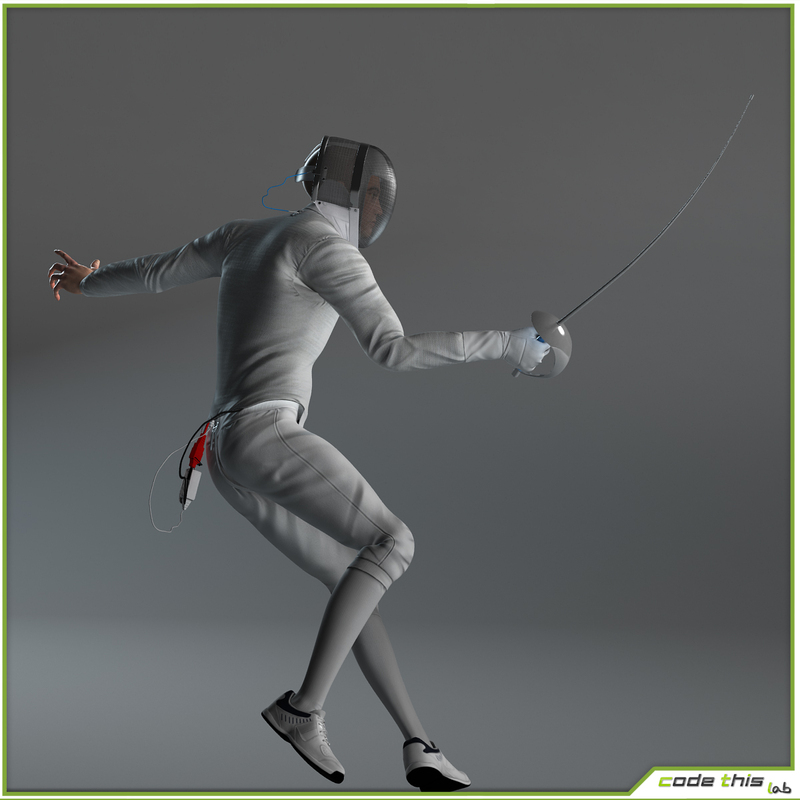 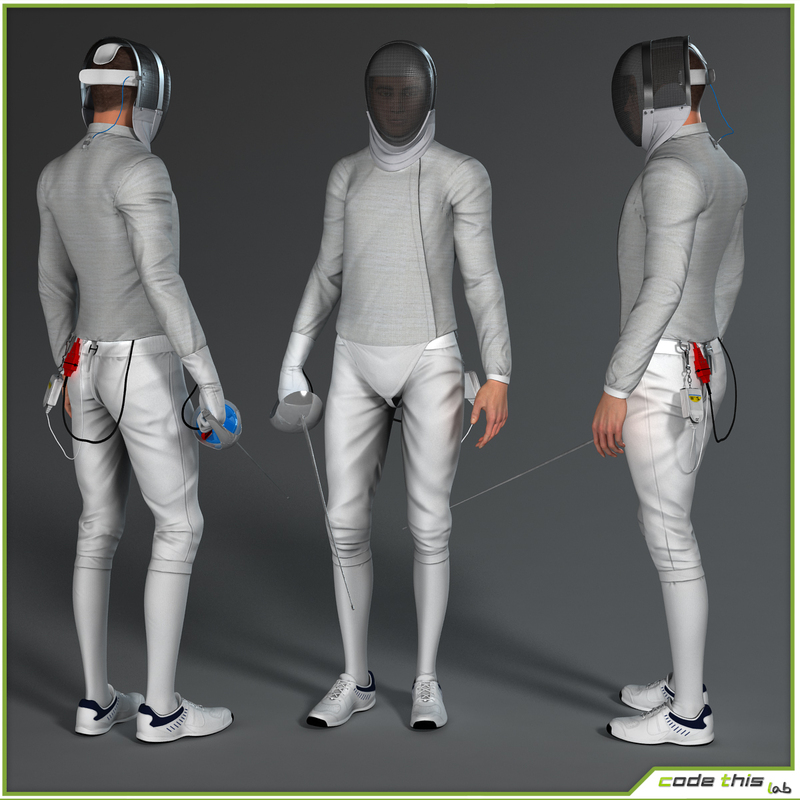 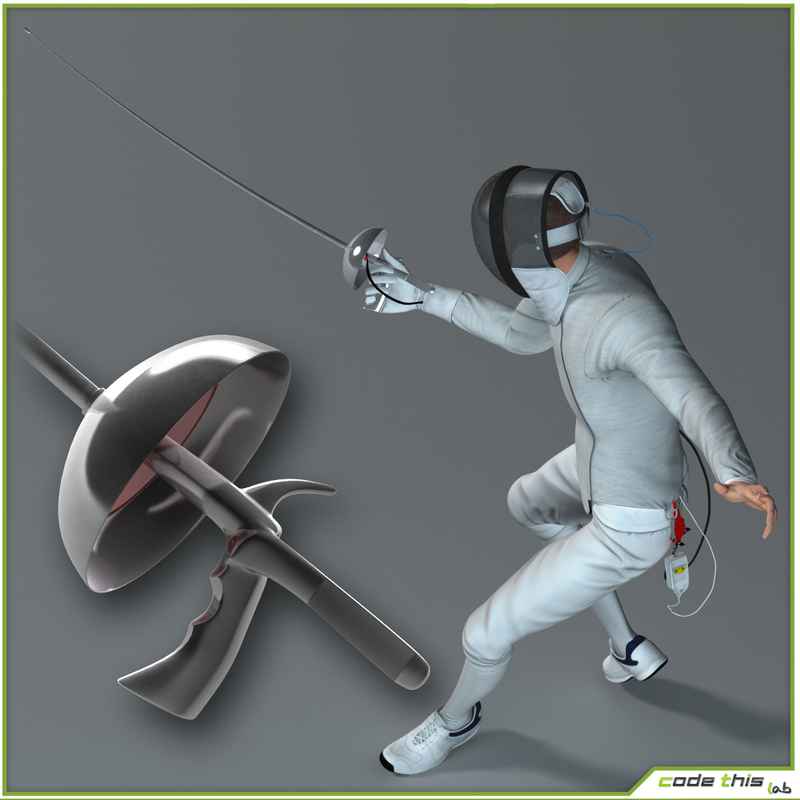 This is a high resolution fencer.This 3D model is suitable for high definition images and general animations.